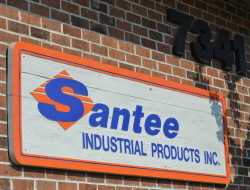 Santee Industrial Products Inc. has been in business since June 1, 1983, and is owned by Ralph Phillips and his wife, Dr. Kay. It has been our pleasure to serve the coastal plains of SC and GA with quality products and service at competitive prices in the motive power industry. Our primary suppliers are East Penn Mfg (DEKA Batteries), Applied Energy Chargers, Ametek Chargers, MTC battery handling equipment and many more fine manufacturers. Our company consists of 4 trained technicians, 4 sales personnel, 1 service coordinator, 1 bean counter, and Ralph. Our employees are our extended family. We are a trust-worthy company and our customers are taken care of and get their money’s worth. We welcome the opportunity to serve your battery and charger needs. It is our policy to provide a safe and secure work environment for our employees and customers.